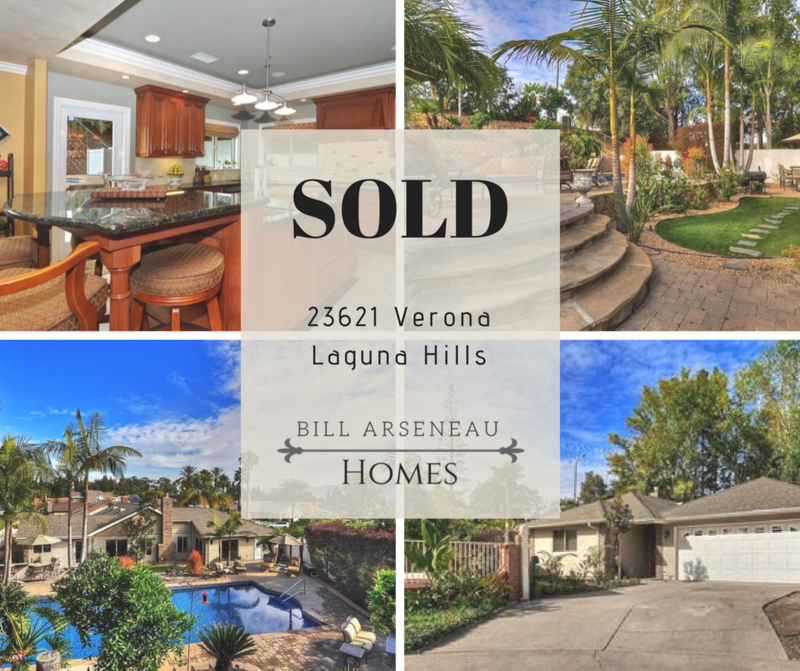 Congratulations to our Seller’s on the successful sale of their home at 23621 Verona in Laguna Hills. We are pleased to be able to help you take the next steps in your journey. This Single level dream home was an entertainer’s delight and truthfully feels like a custom home. Homeowner has meticulously crafted every inch of this home with specialized carpentry from Crown molding to Custom hardwood Hickory cabinetry from Arkansas. Enter through the foyer with its barrel ceiling and Medallion inlay. Large chef’s kitchen with 6 burner range with pot filler faucet, oven, microwave, wine refrigerator and rack, built in refrigerator, double stainless steel main sink, plus separate single stainless veggie sink. Tax roles read as 5 bedroom, but was converted to a spacious 2 bedroom home. Family Room can be easily converted back to a third bedroom or a mother-in-law quarters, with it’s own sitting area & custom walk-in shower & slider to the open patio area. Master bedroom suite includes a fireplace, sitting area, perfect to cozy up to with your favorite book, walk in closet and well appointed bathroom, with Grohe bathroom fixtures in the large walk in shower, and dual vanities, custom Travertine tile work and large separate soaking tub. Other noteworthy amenities include inside laundry, custom light fixtures and travertine tile throughout. Terraced backyard oasis, with fireplace/conversation area, great 20X40 lap pool, built in Barbecue with Kegerator, refrigerator, all newly landscaped and low maintenance artificial turf & putting green, plus a terraced up slope with fruit trees, steps & retainer walls. All adjacent to a park that feels like your own. 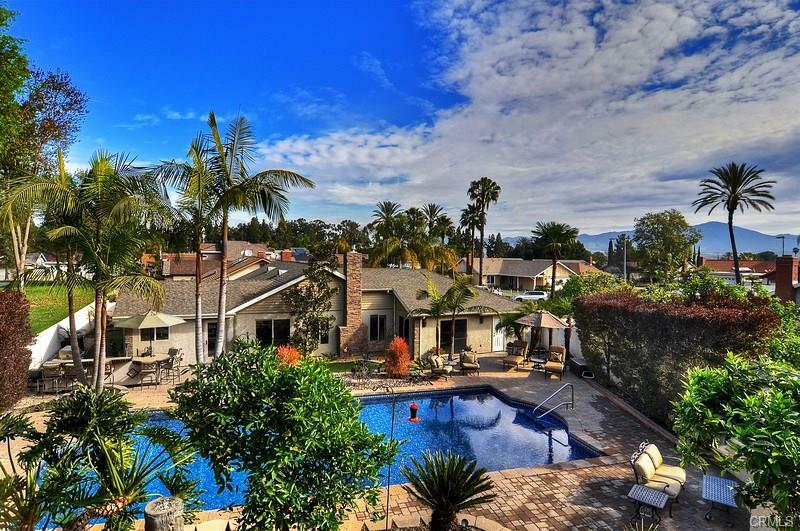 23621 Verona, Laguna Hills from Bowman Group on Vimeo.